Sprint Corp. (NYSE:S) agreed to pay about $32 billion, at $40 per share, to buy T-Mobile US Inc. (NYSE:TMUS), Reuters reports, taking the third- and fourth-largest U.S. mobile network operators, respectively, one step closer to officially merging, which could happen as early as this summer. The share price is 17 percent above T-Mobile US’s closing share price on Wednesday, and the shares have more than doubled since the company bought smaller competitor MetroPCS last year. 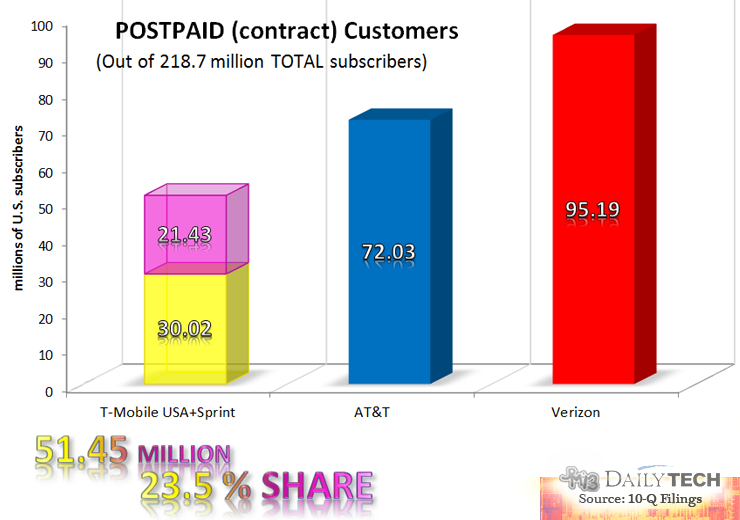 The Sprint T-Mobile merger would have to pass regulatory challenges from the U.S. Federal Communications Commission and the Department of Justice, which have both expressed a desire to have at least two more network operators competing against market leaders AT&T (NYSE:T) and Verizon (NYSE:VZ) to ensure the wireless market stays competitive to prevent price hikes on customers. Three years ago, the regulators rejected AT&T’s $39 billion bid for T-Mobile, and AT&T paid T-Mobile’s owner, Deutsche Telecom, a breakup fee of $6 billion. Deutsche Telecom, which owns 67 percent of T-Mobile, would keep a 15 percent to 20 percent stake in the combined company in the sale to Sprint, Reuters reported. Sprint would pay T-Mobile more than $1 billion in cash and assets if the deal is rejected by regulatory authorities, the Wall Street Journal reported. 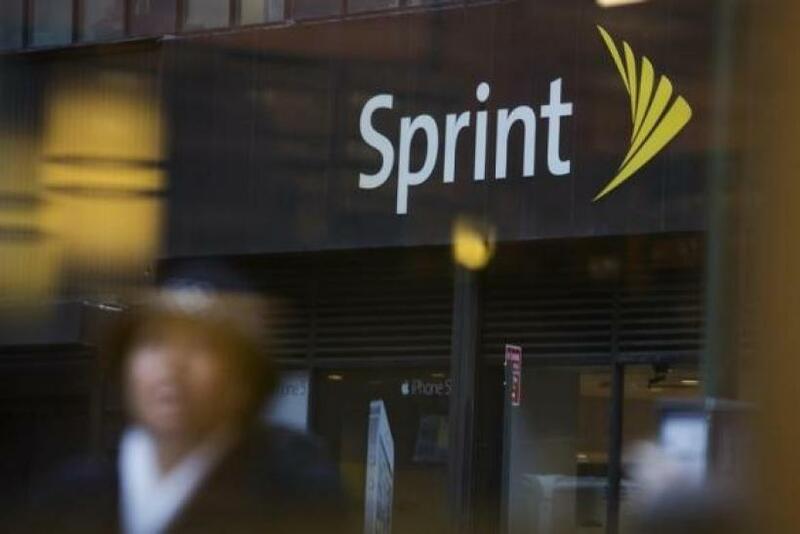 Sprint has been losing customers every quarter for more than two years, spurred by a shutdown of its aging Nextel network. Purchased in 2005 for more than $30 billion, the network has resulted in more dropped calls where the company is converting the network technology to cover longer distances. Sprint reported losing 750,000 of its most profitable customers in the first quarter of this year along with a loss of $151 million, a narrower loss than the $643 million loss recorded a year earlier. For full Maps of wireless coverage across the country, click here. If the merger did go through, it wouldn’t affect Sprint and T-Mobile customers for years, after current contracts end, Dano said. That’s because it would take years to combine the two networks, which support different spectrum bands. Spectrum bands, like radio station settings, determine what frequency of airwave a phone can use to transmit data. No two stations or wireless operators can transmit over the same spectrum at the same time in the same market because it would cause interference. Sprint and T-Mobile have focused their coverage around big cities, but outside those areas, AT&T and Verizon dominate because until recently only large carriers scored the high-band spectrum that can carry data long distances. The FCC auctions off spectrum for wireless operators to boost capacity. Since smartphones use 24 times more data than a traditional cell phone, according to the FCC, demand for spectrum is increasing, and the stakes are high for the major wireless operators. The more spectrum they own, the more coverage and speedier service they can sell to customers. The FCC has to decide who can own how much spectrum, and the rules it released in mid-May set aside less spectrum for small carriers like Sprint and T-Mobile than expected. Can T-Mobile Survive Without A Merger?